On the 46th anniversary of Neil Armstrong and Buzz Aldrin’s first steps on the moon, Yuri Milner, a Russian entrepreneur and venture capitalist behind DST Global, and Stephen Hawking announced a $100 million effort to speed the search for extra-terrestrial life. Breakthrough Listen will rely on access to the 100 Meter Robert C. Byrd Green Bank Telescope, in West Virginia, and the 64-meter diameter Parkes Telescope in New South Wales, Australia. It will cover an area of the sky 10 times larger than previous programs and will be 50 times more sensitive for other programs dedicated to the search for extra-terrestrial intelligence (SETI) and, in collaboration with a radio search, the Automated Planet Finder Telescope at the Lick Observatory in California will conduct what’s being described as the world’s “deepest and broadest search for optical laser transmission,” Milner and Hawking say in a statement released Monday. 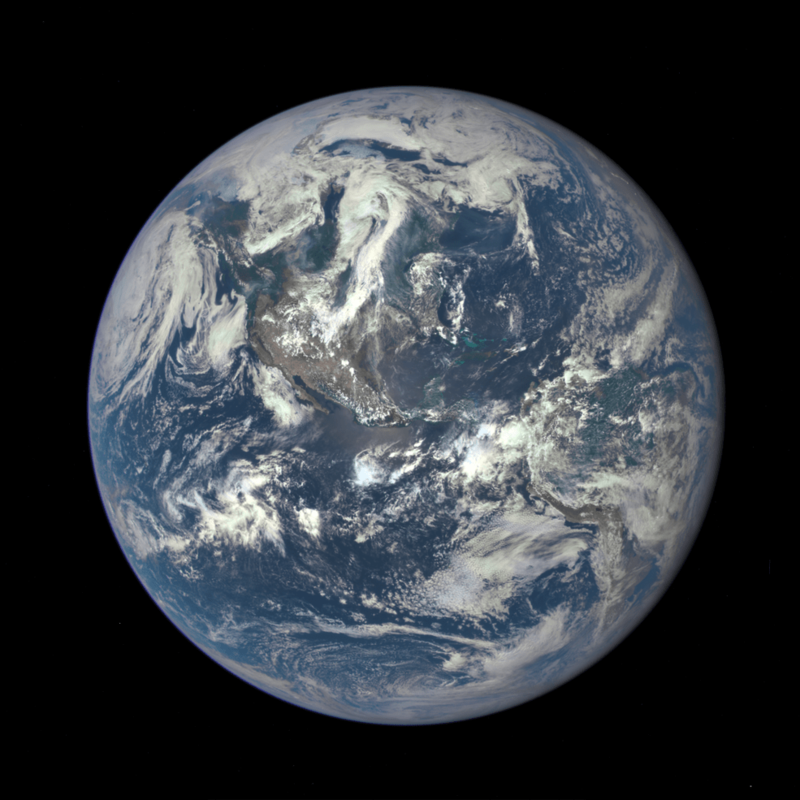 A new image of Earth taken from NASA’s EPIC satellite camera from a distance of one million miles. The initial financial commitment to Breakthrough Listen is $100 million to fund the initiative’s 10-year lifespan. All funding comes from Milner’s own pocket. As the Washington Post explains, while Drake began SETI in 1960, the SETI Institute receives no government funding, meaning that kind of exploration is fully dependent on the support of universities and private organizations. Money isn’t flowing in the way it used to, further limiting SETI’s efforts. Milner is one of the founders of the Breakthrough Prize, along with Facebook’s Mark Zuckerberg and Google’s Sergey Bring, which honors achievements in life science, fundamental physics and mathematics. During a press conference from the Royal Society in London Monday morning, Milner said this effort will allow scientists to obtain as much data in a single day that they can currently collect in an entire year. Any information obtained though Breakthrough Listen will be available to the public. A statement released by Breakthrough Initiatives notes that Breakthrough Listen will “scan the center of our galaxy and the entire galactic plane. Beyond the Milky Way, it will listen for messages from the 100 closest galaxies.” If there’s any transmission from a civilization within the nearest 1,000 stars “with the power of common aircraft radar, Breakthrough Listen could detect it,” and that Breakthrough Listen’s optical search “could detect a 100-watt laser” from a star up to 25 trillion miles away. The second phase of this initiative, Breakthrough Message, will be structured as a competition to create a series of digital messages to represent humanity and life on Earth to be sent out to our alien neighbors, if they’re listening. Further details of competition, which will include a $1 million prize, will be announced later. The world has lost a visionary. The great Stephen Hawking has died, at 76. Nerd gifts for Star Trek/Wars fans, vinyl lovers, drivers, and smart home enthusiasts. Space night for me over @GeeksandBeats. Help preserve history http://t.co/Ntbr33iwWf, then explore new worlds http://t.co/FMNcm8kP1w.